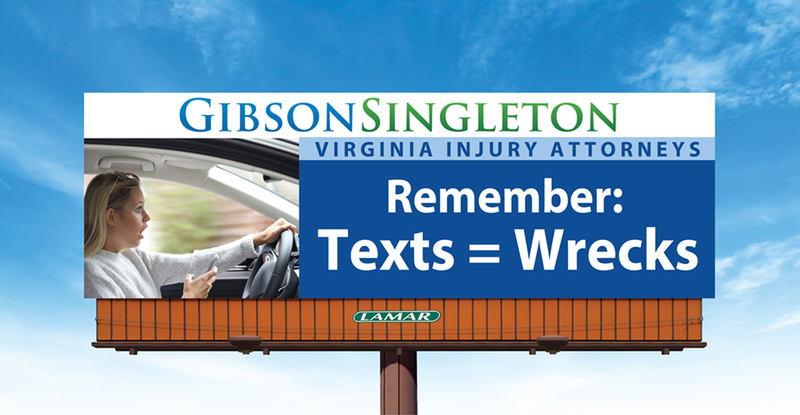 Ken: “To help fulfill those beliefs, we’ve launched an annual campaign that we call Texts=Wrecks. We were saddened to see so many clients injured by distracted drivers—who were looking down at their phones, texting, and not paying attention to the road. Note: One startling statistic is that 6 in 10 teen crashes are now due to distracted driving—58 percent overall (CNBC). 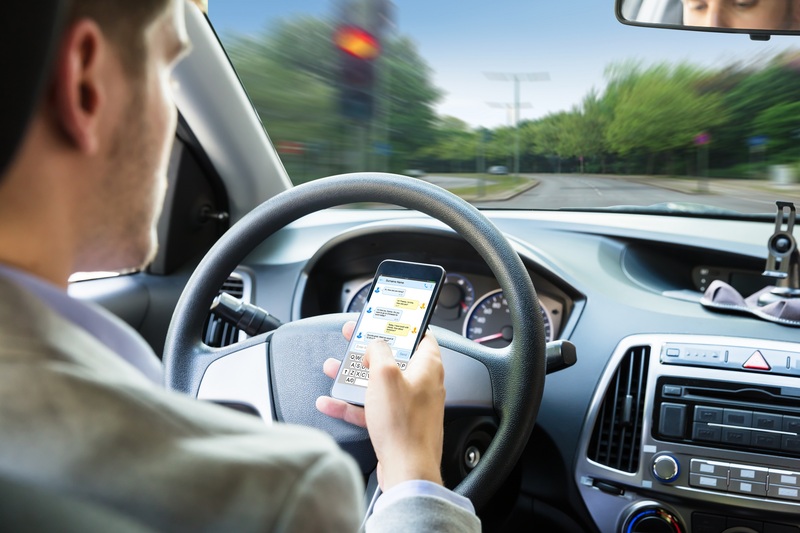 Approximately 3,500 people were killed, and 391,000 were injured in crashes involving distracted drivers in 2015 and 2016, according the National Traffic Highway Safety Administration. John: “Distracted driving is not only texting while you’re driving, although it’s one of the worst kinds because you’re looking at your phone, you’re thinking about what you’re texting, and you’re trying to manipulate your phone to send a message. “But distracted driving can also be eating while you’re driving, or drinking something—a Coke, or a cup of coffee—while you’re driving, or even putting on make-up. Believe it or not, people do that, and that is distracted driving. Note: There are three types of distracted driving: manual, visual, and cognitive. Texting is especially dangerous because it combines all three! Ken: “To raise awareness about this problem, our law firm has done several things. First, we put a crashed car in front of our office. We put a banner on it that says ‘Texts=Wrecks,’ and it got quite a bit of attention from the community. We did that to show the real-life impact of texting and driving. “We’ve also spoken to hundreds of high school students in our area to raise their awareness about the problem. Young people are in a unique position because they grew up with cellphones, and iPads, and things like that. So they’re intimately familiar with these devices, and they can be leaders in showing their family members and their friends that texting and driving just doesn’t work. Note: You can apply for our 2019 Texts=Wrecks Scholarship here! Meet our 2018 scholarship winner, Gillian Pritchett, here. GibsonSingleton Virginia Injury Attorneys is committed to our Eastern Virginia communities, and we are committed to getting justice for our clients. If you’ve been injured by a distracted driver, rest assured that John, Ken, and the rest of our team will work hard to see that you get the compensation you deserve. Call (804) 413-6777 for a free consultation.